LR Health & Beauty Systems GmbH, Ahlen, one of Europe´s leading direct sales companies for health and beauty products, has appointed a new CEO. With immediate effect Andreas Friesch is taking over from Dr. Thomas Stoffmehl who leaves the company by mutual agreement. Dr. Stoffmehl who has consequently and successfully driven the strategic and operational reorientation of LR over the last years has decided not to prolong his engagement at LR. Andreas Friesch’ professional experience roots in the European direct sales industry. He headed the Thermomix Division at Vorwerk Deutschland Stiftung & Co. KG from 2008 to 2018. In this capacity, he was responsible for the German sales organization overseeing more than 16.000 sales partners. 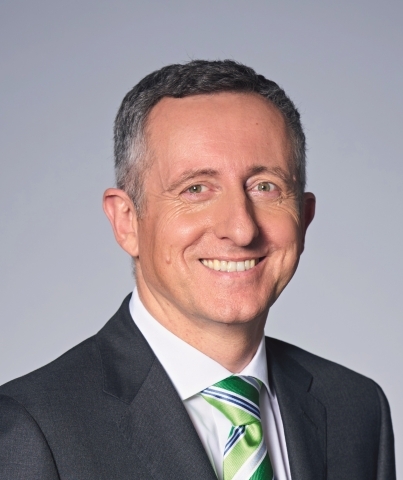 Due to his strong commitment Andreas Friesch played a major role in the international success of the Thermomix and made the German Thermomix business the most successful within the Vorwerk-group. Currently, LR Health & Beauty is represented in 28 countries. Andreas Friesch will lift the considerable potential of the company by introducing new and innovative products which are sold by thousands of LR sales partners. In future, the management team of the LR Group will comprise Andreas Friesch (CEO), Thomas Heursen (Global Partner Relations) and Dr. Andreas Laabs (CFO/COO). Under the motto “More quality for your life“, the LR Group with headquarters in Ahlen/Westphalia produces and markets various health and beauty products in around 28 countries. The range includes care and decorative cosmetics, dietary supplements and perfumes. In the fragrance segment, the company, which was founded in 1985, has established exclusive cooperations with celebrities such as Guido Maria Kretschmer, Karolina Kurkova and Bruce Willis. With 1,200 employees as well as thousands of registered sales partners and customers, LR is one of Europe’s leading direct sales enterprises. LR's strong market position is based above all on a high-quality product range and an attractive bonus and training plan which is unsurpassed in the industry. LR also established the LR Global Kids Fund e. V. which provides efficient and unbureaucratic support for deprived children and their families in many different countries around the world in cooperation with local institutions.